ART IS EVERYWHERE!! THE BRONX IS BEAUTIFUL!! Yesterday I was in a pity pot about how awful my life is. I’ll never be successful with my creative business and I will end up living in poverty. AND I DON’T HAVE A VALENTINE!! HYSTERICAL!!! 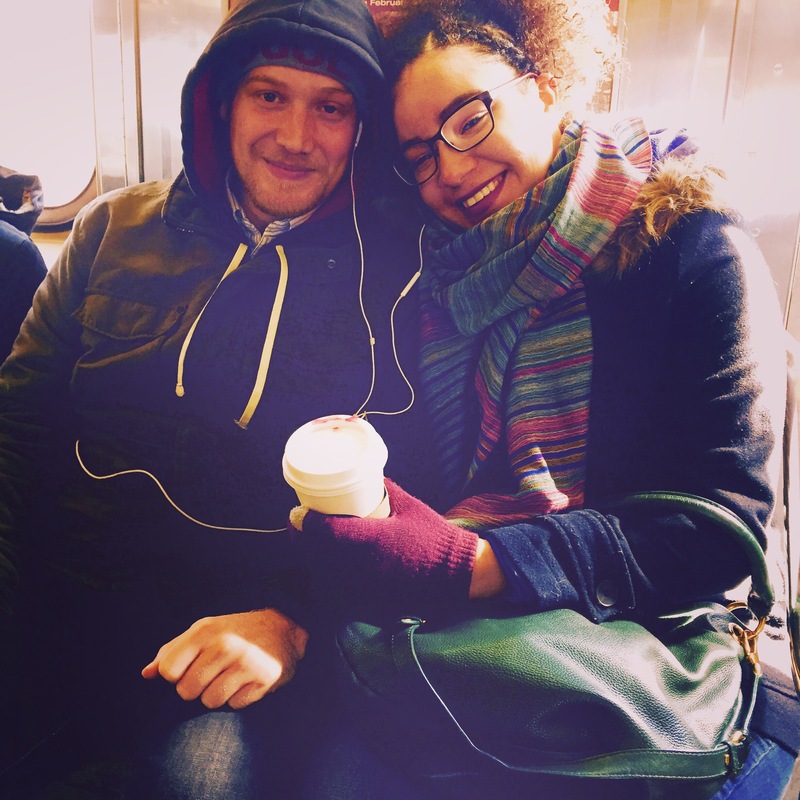 I had to meet my ex-husband in the city in -15 degree weather. I hopped onto the 1 train and continued to cry under my two wool scarves. Then I peered up from my hide-out and noticed a young couple across the way happy to be together on Valentines Day. THIS CHANGED MY BRAIN!! I ACTUALLY THOUGHT IT WAS A WONDERFUL PICTURE!! I ASKED IF I COULD TAKE THEIR PICTURE FOR MY BLOG. I FORGOT ALL MY PROBLEMS AND NOW KNOW THAT PEOPLE ARE SO MUCH A PART OF MY LIFE AND ART.